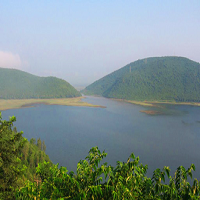 The Pampa river encircles the Ratnagiri hill on which the Satyaranayana Swamy temple is located. There is a barrage built on the Pampa river which has a boating facility.The beauty of the Pampa and the towering Ratnagiri makes boating here a memorable experience. 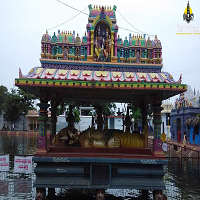 Talupulamma Talli temple is the most famous and well known place in Andhra pradesh as each and everybody visit for offering pooja to the Goddess after purchasing a new vehicle. There are hardly any people in Andhra Pradesh who don't know about this Goddess and each and everybody insist on coming and having darshan of the Goddess after owning a new vehicle.The temple is situated in between a hill and surrounding is very scenic. This makes an excellent picnic spot too for those who wants to spend their week end. Uppada Beach is 37 km from Annavaram and is located on Uppada Road and it offers a relaxed and rejuvenating ambience to enjoy the sun kissed sand and water. The wide shore is a major attraction of this beach. The clear water, the silver sand and the golden sun gifts the beach with a majestic beauty.The sunrise and the sunset are very worth watching at this beach. This riveting seashore also has a beautiful well maintained park that adds to its beauty. 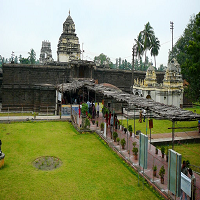 Draksharamam is famous for one of the pancharama temples called Draksharama Bheemeshwara Swamy temple. This temple is situated in a green belt of river Godavari.This temple was constructed by the East Chalukyan king during 9th century. The temple also consists one of the Shakti Peethas called Sri Manikyamba. The speciality of this Shiva Lingam in this temple is that, the early morning tender Sun light falls on the Linga. There are nearly 800 ancient scripts on the walls of the temple. The celebrations in this temple were started during 14th century in the period of Reddy Kings. 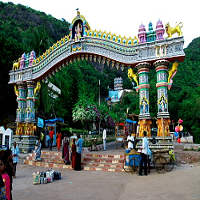 Pithapuram is one of the oldest and famous pilgrim places of India. 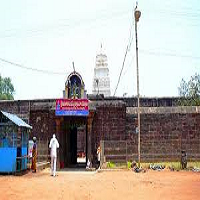 There is an oldest temple call “Padagya Keshatram in Pithapuram. The Lord “Sri Kukuteswara Swamy is the Swayambhu with Spatika Lingam”. Pithapuram is one of the Twelve Pilgrims, one of the five Madava Keshatra and one of the Asta Dasa (Eighteen) Sakthi Petas. 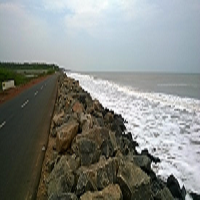 Previously Pithapuram is known as Pitikapuram. Once you enter into the temple, complete the pradishana and come in front of Dwaja Stamba you will be attracted by the “Yaka Sila Nandi (Single Stone Nandi). The Yaka Sila is second biggest after Lepakshi Basaveswara Nandai. Lord Shiva is known as Kumara Bhimeswara Swamy here. The consort of Lord Kumara Bhimeswara Swamy is Bala Tripurasundari. According to legend, the Sivalinga at the temple place was installed and established by Lord Kumaraswamy. Maha Shivaratri, Karthika Masam and Sarannavarathri are the main festivals celebrated at the temple. There is an interesting legend regarding the name of this place and existence of Lord Shiva in this place. During Tarakasura vadha, the Shiva Linga which was in the throat of Tarakasura broke into five pieces and one of the pieces fell here. Thereafter, it came to be known as Kumararama. Lord Bhimeswara Swamy was installed by Kumara Swamy (son of Lord Shiva and Goddess Parvati) and hence the temple is called KumaraRama. This temple was built in Dravidian style, by the King Chalukya Bhima. Hence the name is Bhimeswara.